University of Queensland researchers have found that antivenoms produced using snakes from one region may perform poorly or fail completely against the same species of snakes from other regions. Saw-scaled vipers – found in sub-Saharan Africa, the Middle East and Asia – kill more people globally each year than almost any other kind of snake, and are treated with antivenoms produced using snakes from different regions. University of Queensland School of Biological Sciences expert Associate Professor Bryan Fry said antivenoms were being sold and used interchangeably to treat saw-scaled vipers' bites, and that lives might be lost. "In African regions where Indian antivenoms had been used, the death rate increased 20-fold," Dr Fry said. 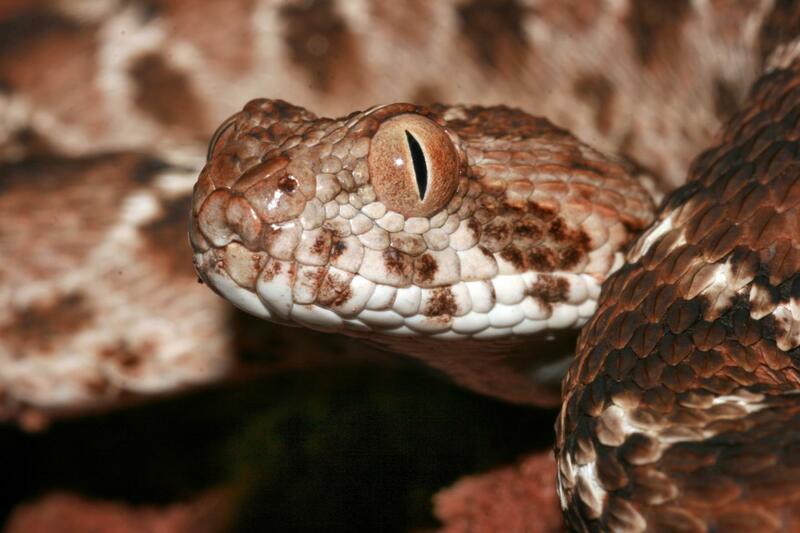 "Researchers tested the effectiveness of two African and two Indian saw-scaled viper antivenoms against saw-scaled vipers from 10 regions. "The results showed that the two African antivenoms were only effective against snakes from restricted ranges. "One antivenom performed well against West African saw-scaled vipers and the other one was best against the East African saw-scaled vipers. "The Indian antivenoms failed against the Indian saw-scaled viper from a range different to the one used for the antivenom production, and failed completely against African saw-scaled vipers. Envenoming and deaths resulting from snakebite represent an important public health concern. It is estimated that snakebite affects around five million people globally and accounts for more than 100,000 deaths annually. "This is likely to be a dramatic underestimation due to poor or entirely absent data in many regions," Dr Fry said. "Most severe cases of snakebites are attributed to two snake families, elapids and vipers, and among them, saw-scaled or carpet vipers are thought to be responsible for more deaths annually than any other genus. "Snakebites are the most neglected tropical disease in the world, yet antivenom production is decreasing in favour of more profitable projects. "Antivenom is expensive to produce, has a short shelf life and is needed most by those who can afford it the least." Dr Fry said the situation was particularly dire in Africa as it was the snakebite epicentre of the globe and home to some of the most toxic snakes that thrived in disturbed rural environments. "Saw-scaled vipers' density in farming regions far exceeds their numbers in natural habitat," he said. "Their venom is fast-acting on humans, causing potentially fatal excessive bleeding." Dr Fry hoped that this research would raise awareness of the urgent need for international efforts to address the global crisis. "Snake bite is an incredibly socially destabilising force, not only directly due to deaths of primary bread-winners in farming communities, but also the severe permanent injuries to survivors," he said. "Entire family groups may be plunged into poverty. Other medically important destabilising factors are targeted by foreign aid from wealthy countries since destabilised communities are more prone to violence and extremism. "However snakebite is hugely neglected by such foreign aid despite it being the more readily treatable, relative to diseases such as HIV-AIDS. "For value for money, no other foreign aid measure could have such immediate medical implications while also helping to promote stable, peaceful communities."